Holoride may put an end to the interminable boredom of being a passenger in a car. Or, it could be a very quick way to give yourself motion sickness and ruin the upholstery. Developed by Audi in collaboration with Disney, Holoride’s first demonstration at the Consumer Electronics Show has passengers wearing clunky virtual-reality goggles to play a video game as they are driven briskly around a racetrack. You’re putting a lot of trust in your driver. 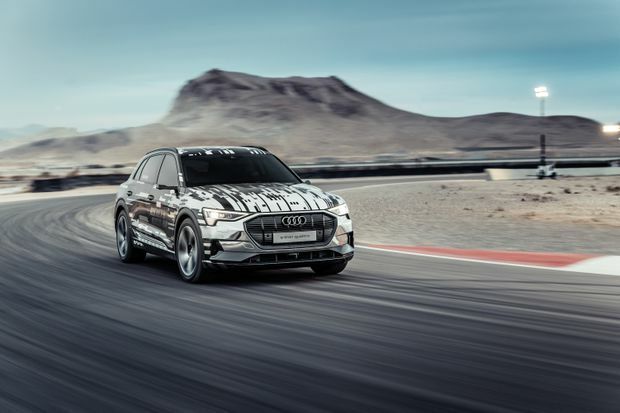 As the Audi SUV accelerates hard to 140 km/h, the players/passengers in the back seat are immersed in the virtual cockpit of a spaceship as it blasts off into a technicolour asteroid belt. Rocket, the profane raccoon from Guardians of the Galaxy, is your co-pilot. Move your head to see all around the cockpit. Rocket tells you to shoot at asteroids using a hand-held controller. As the car takes a hard left, so does your spaceship. The motion of the virtual world syncs up to the real world. Iron Man suddenly flies in; he needs your help to blow up something. The car/spaceship dodges left and right; you’re blasting alien ships to smithereens and then you’ve arrived at your destination. How much time has passed, it’s hard to say. Audi studied the queasiness problem and found Holoride supposedly reduced the likelihood of motion sickness. “Every street turns into a canvas for creators of virtual worlds,” says Nils Wollny, head of Audi’s digital-business unit. It’s a new form of entertainment he calls “elastic content.” “It’s the end of linear entertainment,” he proclaims. The game adapts in real time to your trip and the motion of the car. The game could be five minutes long, or hours. Every day, 50 million trips are made by the major ride-hailing companies such as Uber and Lyft, Wollny says. That works out to 18 billion trips annually, in which there is – quite often – a bored passenger in the back seat. That’s a big untapped market. The company studied the queasiness problem and found Holoride supposedly reduced the likelihood of motion sickness. Because the motion you see matches up to the motion you feel, it’s less of a shock to the senses than a stationary virtual-reality experience, he explained. Playing Fortnite on your phone in a car would certainly make you turn green faster. The CES demo, Marvel’s Avengers: Rocket’s Rescue Run, was created by Disney. There are no plans to release it to the public, says Mike Goslin, Disney’s vice-president of games and interactive experiences. Virtual-reality experiences won’t be for everyone, he admits. “The car as an entertainment platform; there are other ways to deliver content. We’re interested in all kinds of new platforms. … We want to be wherever are consumers are.” Increasingly, that means stuck in traffic. Holoride’s first demonstration at the Consumer Electronics Show has passengers wearing VR goggles to play a video game as they are driven around a racetrack. As of February, Wollny will be the chief executive of Holoride. Audi will spin it off as an independent startup, retaining a minority stake. Holoride is aiming to have publicly playable games available by late 2020 or early 2021. Wollny envisions a subscription model in which customers could load up the app whenever they’re riding in a car. Users could play any number of games created by third-party developers. Holoride will share revenue with automakers or ride-hailing companies that integrate the technology into their cars. The Holoride demo was cheesy, but undeniably fun. It made me want to play again, to go for a high score. However, there are so many unanswered questions: Will people trust ride-hailing drivers enough to feel safe wearing a VR headset in traffic? Will social stigma prevent people from wearing the headsets? Competition for people’s attention is fierce, and this opens up a new frontier. The potential audience will only grow as cars become fully autonomous and ride-hailing services become even more ubiquitous. Weather it is Holoride, Audi, Disney or some other amalgamation of companies, someone is going to make a lot of money entertaining people who are bored in cars.